It's here, it's here! It's National Coffee Day! Although in my world, every day is National Coffee Day, today holds an extra special place in my heart — and because I love you, I've gone ahead and made a list of 10 National Coffee Day deals that will surely help quench your thirst. Not only is it a great day for coffee (not unlike every other day of the week), but on this day, lots o' places are offering a cuppa joe for cheap or even free. Free! That's the best number ever. It should come as no surprise that so many companies are partaking in the hoopla that is National Coffee Day. 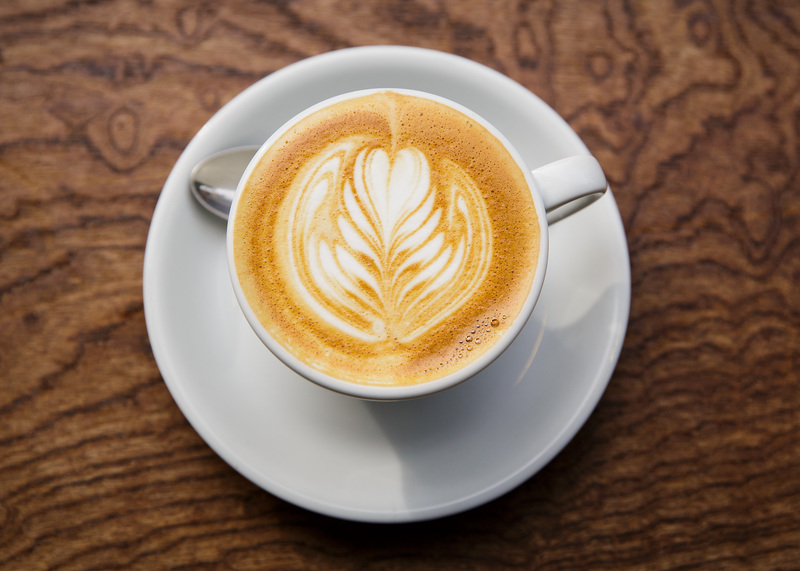 After all, as of 2013 (as reported by USA Today), the National Coffee Association concluded that 83 percent of adults in the United States drink coffee — a 10 percent jump from the previous year. If you want to be a part of the java magic and grab you discounted beverage to celebrate the holiday, head to one of these places. Or all of them. I won't judge. We're talking about coffee, people. Krispy Kreme is offering not only a free 12-ounce cup of coffee, but a free Original Glazed Doughnut on top of it. No coupon needed. Just walk in, drink, nibble, and enjoy. Click here to find a participating location near you. Download their new mobile app and you'll receive a free espresso shot in honor of the holiday, available at all stores except ones that are franchised. If you've already downloaded it, you get double points. Select locations are offering fun extras like free tumblers, and you might even have the opportunity to enter to win free brewed coffee for a year. If you're in Los Angeles, the location on Sunset and Hayworth is giving free coffee for life to one lucky winner. Goosebumps. I have goosebumps everywhere. In true Dunkin' Donuts style — and to acknowledge their 66-year heritage — they'll be offering any medium-sized cup of their signature hot coffee for the price of just $0.66. Also, make sure you follow them on Twitter, because they're picking 66 followers and gifting them with a special card that's good for a whole year of free coffee. Peet's is celebrating NCD with a free medium cup of drip coffee when you purchase a fresh food item. Coffee and a snack? Sign me up. Hurry and enter to win a 2017 Bottomless Mug, which gets you free coffee for a year. You can find directions on the Bruegger's Facebook page. Purchase a cup of coffee and add a modifier for free! Whether you fancy an extra shot of espresso, additional flavor, or maybe a dollop of whipped cream, it's on the house. Stop by for a free cup of medium brewed coffee with purchase. Visit their Facebook page to learn more about how to get this offer. Caribou is doing a beautiful thing. For every cup of coffee bought today, they'll donate a cup to nurses and family members in cancer centers all over the country. Drink coffee, people! Order online and get 25 percent off today only, using the code BESTCOFFEE. Learn more on Facebook. Like Caribou, Starbucks wants to give back this National Coffee Day. For each cup of brewed Mexico Chiapas coffee sold, they'll donate a rust-resistant coffee tree to farmers in need, as part of their One Tree for Every Bag Commitment.